Note: certain floorplans at The Residence at Barrington Apartments in Aurora may have different amenities depending on location. Located in Aurora, named Northeast Ohio's Best Hometown by Ohio Magazine. The Residence at Barrington is located in Aurora which is only eight miles southeast of the new Nestle USA Pizza Division campus in Solon, Ohio. Real-time tours! Call today to schedule a live property tour. 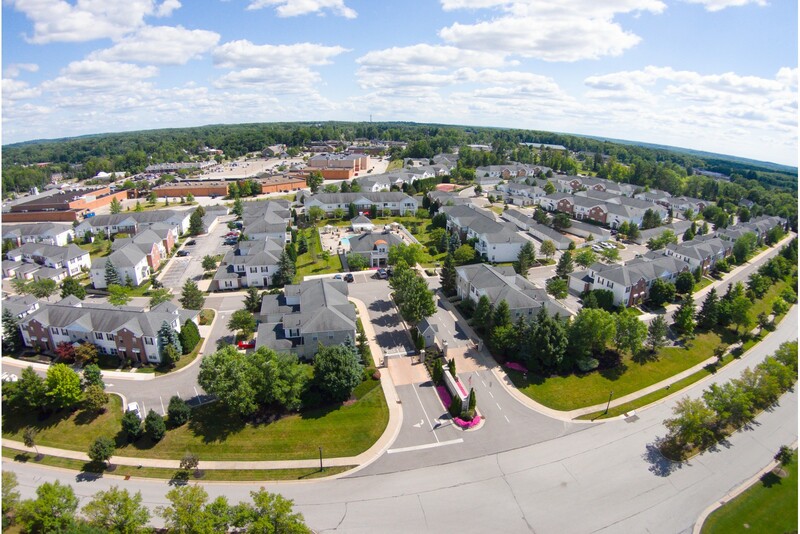 Residence of Barrington offers townhomes and apartment homes in Aurora, Ohio. The community amenities include a tanning salon, fitness center, clubhouse with business center, lighted tennis court, and swimming pool. The apartment homes in Aurora are located in the Aurora School District and thirty miles from both Cleveland and Akron, eight miles southeast of the Nestlé's Solon Campus, and within walking distance of Barrington Town Center. Call today to schedule a visit or a FaceTime tour.